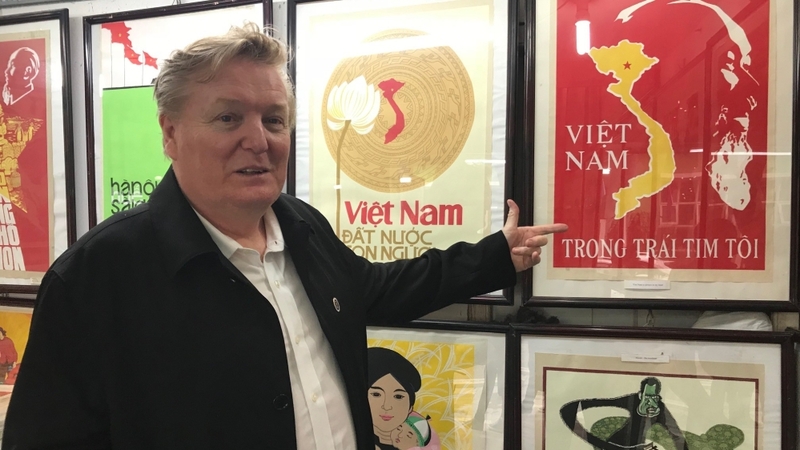 Hanoi, Vietnam – Days before US President Donald Trump reached Hanoi for his meeting with North Korean leader Kim Jong Un, there was another Donald making waves in the Vietnamese capital. That was “Billionaire Donald”, as he calls himself, or Russell White, the other name the 61-year-old Canadian gave himself because searching for Donald on Google would bring up the US president. 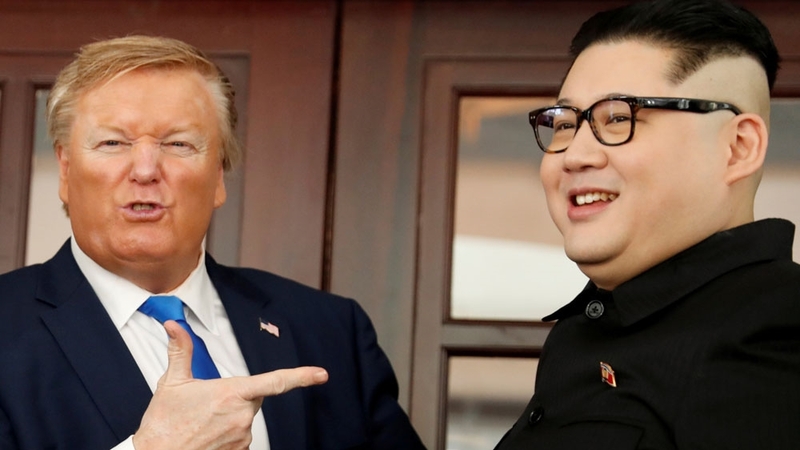 As Hanoi geared up this week to host the second United States-North Korea summit, the Trump impersonator had been walking around the city alongside a Kim lookalike, posing for photos and attracting media attention – before the latter was held and then deported by the Vietnamese authorities. Hours before Trump meets Kim on Wednesday, Al Jazeera caught up with Billionaire Donald to find out about his reception in Hanoi, his next steps and what he thinks of his famous lookalike. Al Jazeera: How did all of this come about? Billionaire Donald: Well, I owned bars in Canada and I was doing fine until I had an accident. I hurt my back. And then there was no income for three years. I had to sell my bars and we ran out of money. Then, one day, we put up sheets in our bathroom, I put on a suit and my wife took photos of me. We put these on a free website – we had no money at that time – and 10 days later, I was in New York City doing a film. Al Jazeera: How have things evolved since? Billionaire Donald: Shortly after that film, I got another big gig and it’s just been rolling in since then. I’ve been all over the United States, have been to England, now I’m here. It’s cool. I’m doing commercials, shows and appearances and things like that. Al Jazeera: What have you been doing in Vietnam? Billionaire Donald: I’ve been trying to be Trump! It’s been good. Very good actually. Everyone comes out asking for photos. People love Trump here apparently. And they are warm and genuine. I’m used to this mad rush, this is no different to life back at home. Al Jazeera: Are you having a good time in Hanoi? Billionaire Donald: It’s been great. People are buying me dinner, I’ve been invited to go to these night clubs and getting heaps of money for that. It’s a fun place. I’m definitely coming back here. Restaurant owners are paying me to eat there, a magician wants to pay me to watch his show. I just hope he doesn’t make me disappear. Al Jazeera: The Kim lookalike was deported. Have you been in trouble with the authorities? Billionaire Donald: I feel safe here actually. I do have escorts which I think is in my interest. At immigration, I was told I can’t go anywhere near where the US and North Korean leaders are, which is not fair. I want to go to the summit and see these guys. It’s like giving me a World Cup ticket and telling me I can’t go to the stadium. Al Jazeera: Is impersonating Trump worrying for you at times? Do you feel safe? don’t seem to get that. I appreciate what they are saying but I can’t control who I look like. And they don’t want me to go to these sensitive areas like Trump and Kim are. Maybe they are thinking I might get shot or something which would be a major catastrophe. Al Jazeera: What do you think about Trump? Billionaire Donald: I love Trump. He’s done everything he said he’d do. Whether you like him or not that’s different. More importantly, for me as a comedian, he’s always got new material. Al Jazeera: What will you do after you go back? Donald: I have some stuff booked at home, in Canada and the US. Weddings, parties and stuff like that. And we’ll continue what we’re doing. Al Jazeera: Looking back, did you ever think you’d be doing what you are right now? Donald: Life was good before. Until that accident. And it’’s taken a detour since then. It’s not where I planned on being but I just rolled with it. And I think things are starting to take off. The networks are calling me, the casting people are after me. I would let the chips fall where they will but we all have in the back of our mind to be in Hollywood and making movies. If that happens, that’s great.